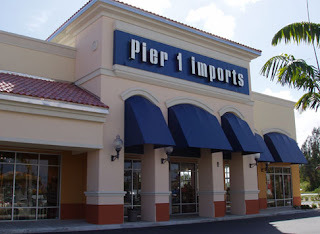 I’ve been working at Pier 1 Imports for over a month now and it’s been pretty cool: nice environment, great people, plenty of air conditioning and pretty good pay too. I got the job back when Peace Corps was continuing its two months of no communication with me and I didn’t know how long I could work, but as it turns out Pier 1 was cool with that and recommended I just work through the holiday season and then see how things go next year. More than likely I will leave for Peace Corps in Spring of ’08 but until then, I’m at home, at Pier 1, working on little things here and there and hopefully *fingers crossed* substitute teaching soon too. That’s my employment update for the quarter.